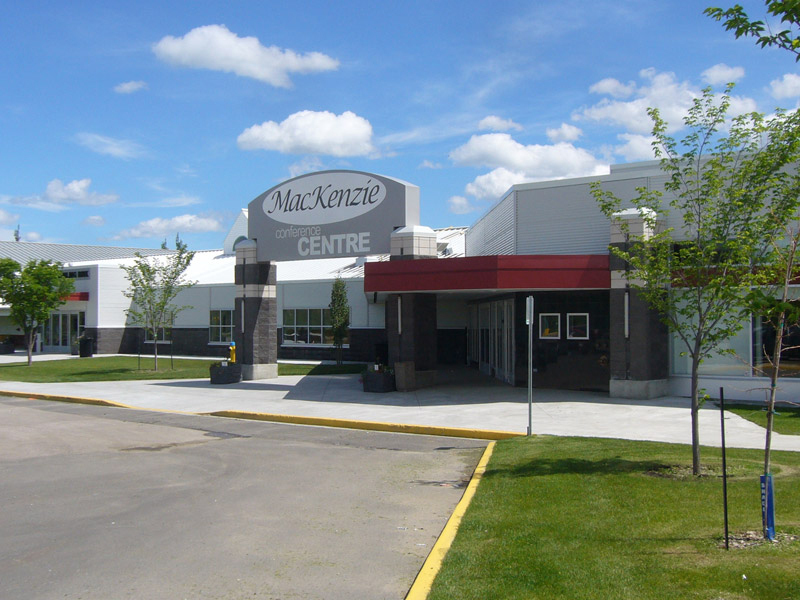 The MacKenzie Conference Centre is a state of the art facility opened in 2009. Located in West Valley Park next to the Omniplex the conference centre is ideally situated to host a wide variety of events. It provides space for an event for up to 416 people in a dining setting and 522 people in a lecture setting and has the capability to open up to include the Curling Rink Lounge providing a larger area for your event, holding a maximum capacity of 624 in a dining setup and 842 in a lecture setup. The Conference Centre can be divided into two sections in case you want to separate your functions, allowing for two different activities to occur simultaneously. You would also be able to use the divider for your wedding, using one half for the ceremony and the other for the reception. Each section has access to the kitchen and portable bars creating a more flexible floor plan for your event. We are fully equipped with modern audio and visual technology. Our centre offers services from in-house catering to decorating. What ever the event, we always strive to add a touch of class! For a map of how to find us click here.